This year my library hosted our first ever Mock Newbery! We hosted it just for staff, but I think it would be great to host one with our patrons someday as well. Our group was impressed by the lyrical writing of Brown Girl Dreaming and how each poem stood alone but also contributed to the larger story. There were also comments on the characterization, which is very well drawn out. Even when we are introduced to a character with very little detail and background, we still felt that we knew them. The group again loved the well developed characters in A Snicker of Magic. 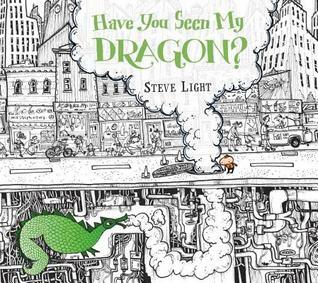 There was lots of discussion about the wonderful wordplay and excellent world building and setting. Our readers also loved that Jonah was a character with a disability without it being part of his character or defining him-he was just Jonah. There were many passionate readers who had a lot of support for this novel. I have to say I was a bit surprised at the overwhelming love and support for West of the Moon from our group! I thought it would be one people didn't enjoy as much, but we had several members in our group who were very passionate about this one. They pointed out the world building and unique folklore style as high points of the novel. The author's note and factual information listed in the back were also a plus for our readers. The group pointed out the unique style and how the book had a lot of great detail without feeling too overwhelmed by the pictures. The full page spreads worked well. One of our younger readers pointed out how only the items that were being counted were in color, which made the book unique and stand out. The group also mentioned how the artwork in this book worked far away and close up which was a plus. They were impressed by the artistic style in ink. The group loved the interplay between light and dark in Flashlight and appreciated the cutouts on each page. One of my favorite comments was from our five-year-old member who did point out that animals can't hold flashlights and that part wasn't real. In Have You Heard the Nesting Bird, the group mentioned the nature feel of each page and that while the artistic style had been done before, it appeared fresh and new with this book. There were full page spreads that you could get lost in and would love to have prints of. One of our teen members mentioned how some of the pages had too much white space which made it a bit distracting, which was something I hadn't thought about before when I looked at this book! And our final honor book, Firefly July was chosen for the unique style and the way the art evoked the various seasons. One of my favorite comments of the day was when one of our younger members, age 8, mentioned that her favorite from the shortlist was Grandfather Gandhi because of the use of fabric. I think she's a future committee member in the making! I love our Mock Award programs and they are something I look forward to every year! I love hearing all of the great comments and thinking and discussing books in a new way. We can't wait to find out what wins! Nice choices in the MG category. 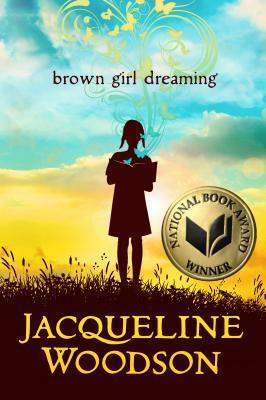 I loved BROWN GIRL DREAMING and really enjoyed A SNICKER OF MAGIC. I haven't heard of WEST OF THE MOON, but now I think I need to read it! Love the idea of holding your own mock awards, such wonderful comments from your young patrons too.